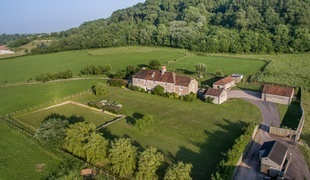 Park Farm is a 17th Century farmhouse set on an idyllic hillside beneath private woodland with uninterrupted views for miles across the Somerset levels and where the skies and moors beyond are an ever changing canvas. From the murmurations of Starlings overhead to our resident Barn Owls who can be seen sweeping silently across the fields in front of the farmhouse, you are guaranteed an experience here that is hard to beat in todays "fast and frantic" world. Park Farm is a charming 17th Century home blessed with superb views over the Somerset countryside. Here you will find luxury self catering accommodation in a truly peaceful location. This is your chance to escape the world and make wonderful memories in a picturesque and enchanting location. This is your chance to escape the world and make wonderful memories in a picturesque and enchanting location. 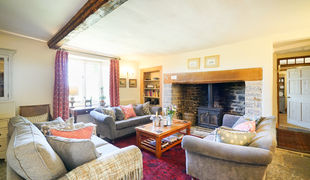 Park Farm provides spacious accommodation for Family gatherings. 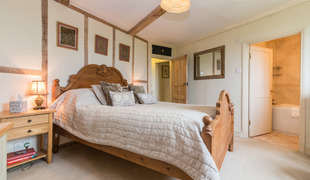 Facilities at Park Farm include a private hot tub, tennis court & croquet lawn. With 5 acres of sweeping lawns and 25 acres of private woodland it makes the perfect self catering accommodation.